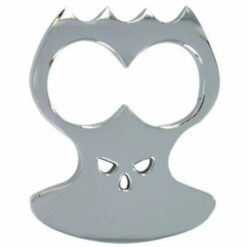 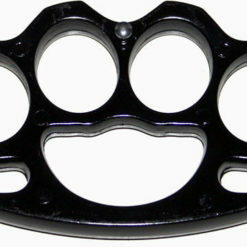 Brass knuckles, also sometimes called knuckles, knucks, or knuckle dusters, are weapons used in hand-to-hand combat. 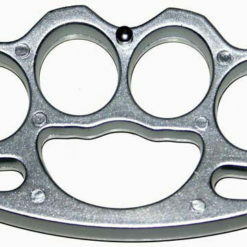 “Brass” knuckles are pieces of metal, usually steel despite their name, shaped to fit around the knuckles. Often sold as paperweights or affixed with a detachable screw allowing them to be sold as a belt buckles, these novelty pieces have been a favorite of collectors for years.